Martina Mondadori Sartogo was born in Milan in 1981. She represents the fourth generation of the Mondadori publishing family. She founded Cabana in 2014. She lives in London with her husband and three children. "Cabana is this great design magazine that comes out only twice a year, in huge volumes with special fabric covers. . . . The photography is lush and beautiful, and it dives into the homes of interior designers, architects, and artists. Every issue is a true keepsake. 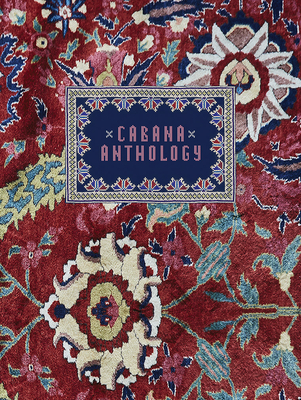 Cabana Anthology is a kind of 'best-of' collection of interviews, profiles, and features from the first five years of publication. I can't wait to catch up on past stories I've missed." "Aesthetes the world over will be thrilled to know that as of next month, highlights from issues one through nine will come neatly packaged in a collectible Cabana Anthology. In the anthology you'll find a compilation of photography, interviews, profiles, and features from contributors such as Justine Picardie, Patrick Kinmonth, Christian Louboutin and Lauren Santo Domingo." "Design crowd darling Cabana magazine, known for its elegant purview and features on sumptuous, gorgeous homes (not to mention covetable covers with textiles from the likes of Gucci) commemorates its fifth anniversary with a satisfyingly hefty tome, Cabana Anthology. The book is a compilation of the magazine’s greatest hits." "More of a work of art than just a book. . . the publication spans the globe from London, England to the tiny village of Ain Madhi, Algeria, showcasing the best stories from Cabana and profiling remarkable spaces. The book is a true journey of discovery. It's a discovery of new places, new art, and new design."